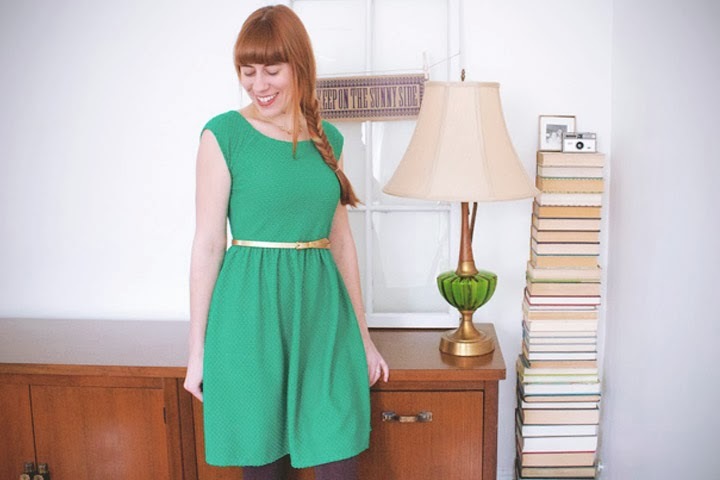 Where do you find style and color inspiration? Sometimes I find the best place is right in front of your eyes at home! I have the prettiest vintage lamp in my dining room. Not being a huge fan of overhead lights, it's always on in our house. Admiring it's beauty everyday, got me thinking about color combinations. I decided to raid my closet and see what outfit I could pull together with colors inspired by my favorite lamp. 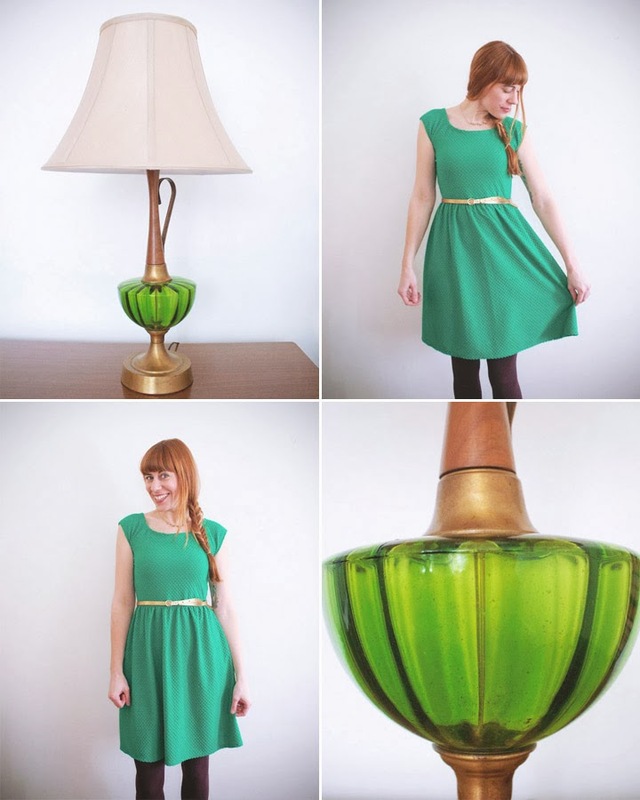 Green isn't a color I usually wear, but I got this dress the other week and instantly thought of my lamp. Pairing it with a gold belt and brown tights made the outfit complete. I love lamp (sorry, I couldn't resist!). Next time your not sure what to wear, take some time and walk around your home. Look at all your decor and see how it can influence your style. Need some more wardrobe tips? Check out last week's STYLE post.